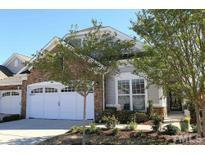 Below you can view all the homes for sale in the Carolina Preserve subdivision located in Cary North Carolina. Listings in Carolina Preserve are updated daily from data we receive from the Raleigh multiple listing service. To learn more about any of these homes or to receive custom notifications when a new property is listed for sale in Carolina Preserve, give us a call at 919-728-5199. Office/Den could be used as a Bedroom. Screened Porch & Patio. MLS#2249855. 475. Enjoy world class amenities and no yard work in this 55+ active community. MLS#2249347. 4772. Community amenities include indoor & outdoor pool, activities, hobbies, bocce, & more! MUST SEE! MLS#2248232. 3051. Enjoy world class amenities in this 55+ active adult community. MLS#2248851. 4772. Don't let this one pass you by! MLS#2248511. 2418. Carolina Preserve's Community includes a fabulous Club House offering a fitness Center, indoor/outdoor pool, walking trails, Tennis & Bocce courts, Classes & Social Events and so much more. Welcome Home. 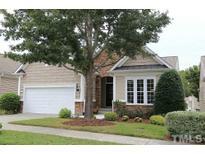 MLS#2243844. 986. Includes all appliances. Not backing to busy roads! MLS#2243642. 989. Enjoy the amenities in this 55+ community with hundreds of activities, clubs, clubhouse, pool, tennis and walking trails. Welcome home! MLS#2243762. 81. Relax On Your Screened Porch, Deck & Patio Overlooking Private Backyard. BASEMENT! MLS#2242683. 3206. Professionally landscaped. Bradford Hall and neighborhood recreation. MLS#2240454. 1126. Carolina Preserve is a 55+ community with over 200 clubs, classes, gorgeous clubhouse, pool, tennis, fitness and walking trails. MLS#2236156. 5026. Then, add a BRIGHT & BEAUTIFUL Basement w/great recreational areas, Covered Patio, Bedroom, Full Bath & LOTS of STORAGE! MLS#2233289. 1710. CPI security& prof. landscaping. Dream home!! ! MLS#2217928. 5112.